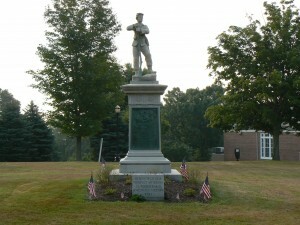 Prospect honors its war veterans with a monument in a small park just off Prospect Road (Route 68). 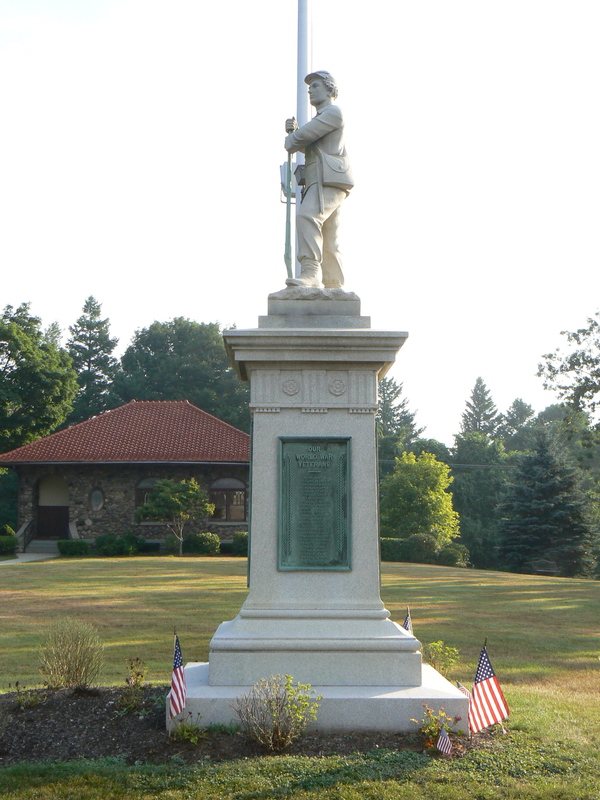 The Soldier’s Monument, completed in 1906 but dedicated the following year, features an infantryman standing atop a granite base decorated with bronze plaques and a Grand Army of the Republic medal. The base of the west face also features a small monument, dedicated in 1977, that honors the town’s veterans of World War II, Korea and Vietnam. 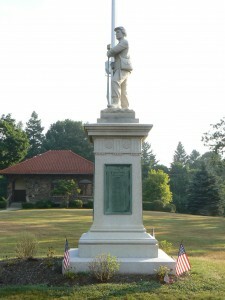 The monument’s south face has a plaque honoring the 25 Prospect residents who served in World War I. 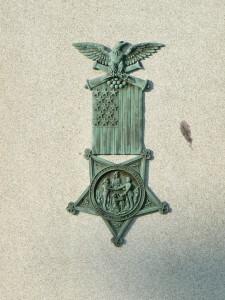 The undated plaque replaced a decorative trophy depicting two crossed rifles. 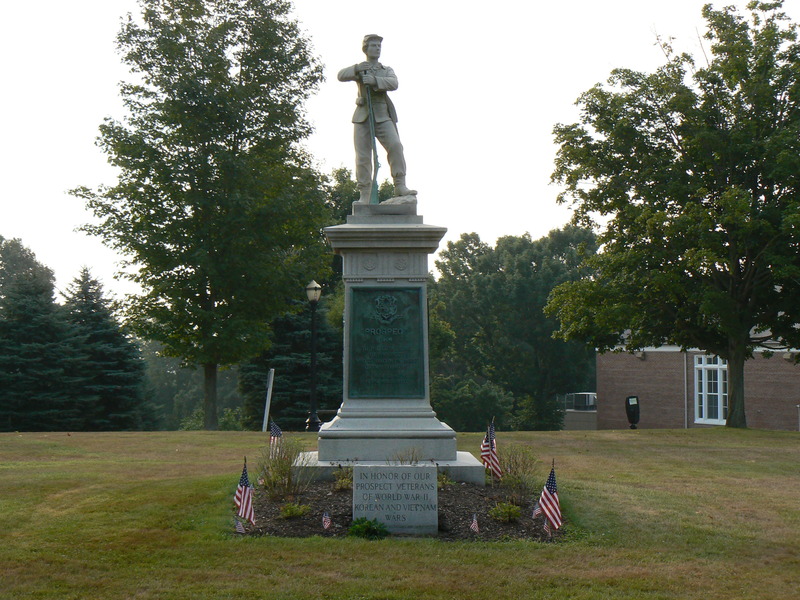 The east face has a plaque listing 22 names of residents who fought in the American Revolution and other wars, as well as Prospect’s 69 Civil War veterans. 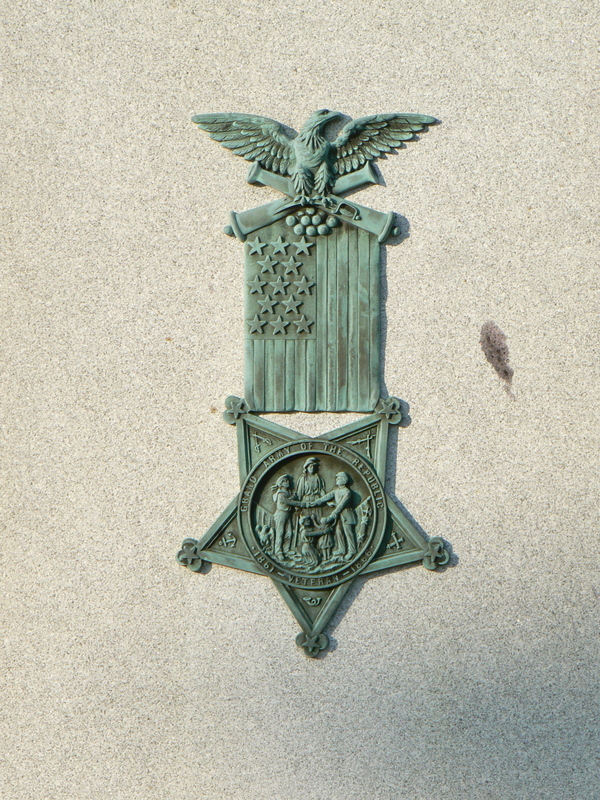 The north face bears the emblem of the Grand Army of the Republic, the post-Civil War veterans’ organization. 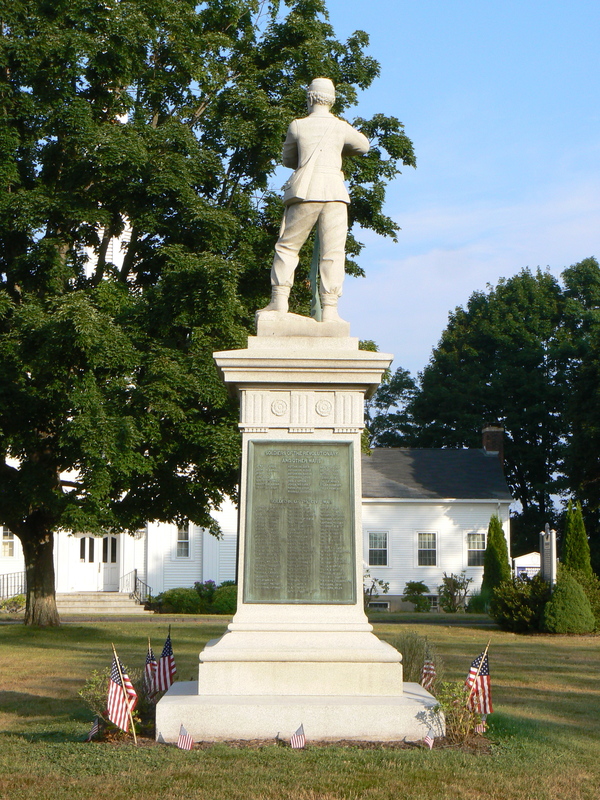 Perhaps because of its relatively late construction in 1906, the Prospect monument features a number of design elements not commonly seen on other Civil War monuments in Connecticut. 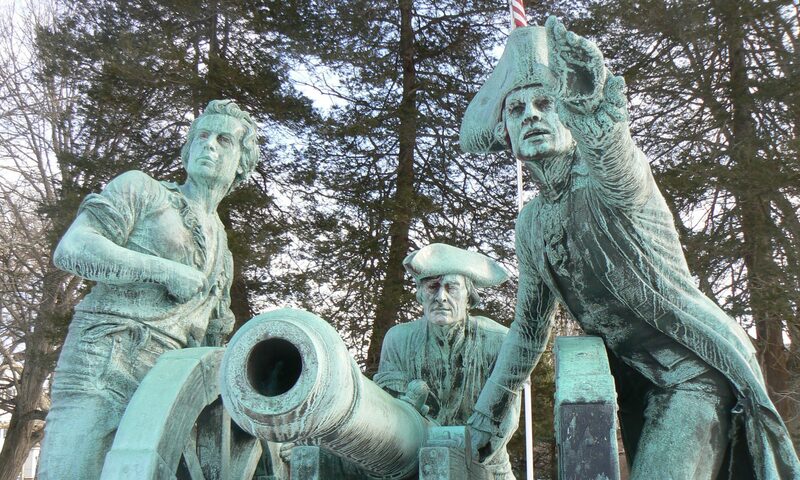 For instance, the infantryman’s rifle (a model 1861 Springfield musket) was fabricated from bronze. This use of a different material for the soldier and his rifle is unique in Connecticut. Also unusual is the placement of the soldier’s left foot on a rock, as well as the uniform pants being tucked into his footwear. 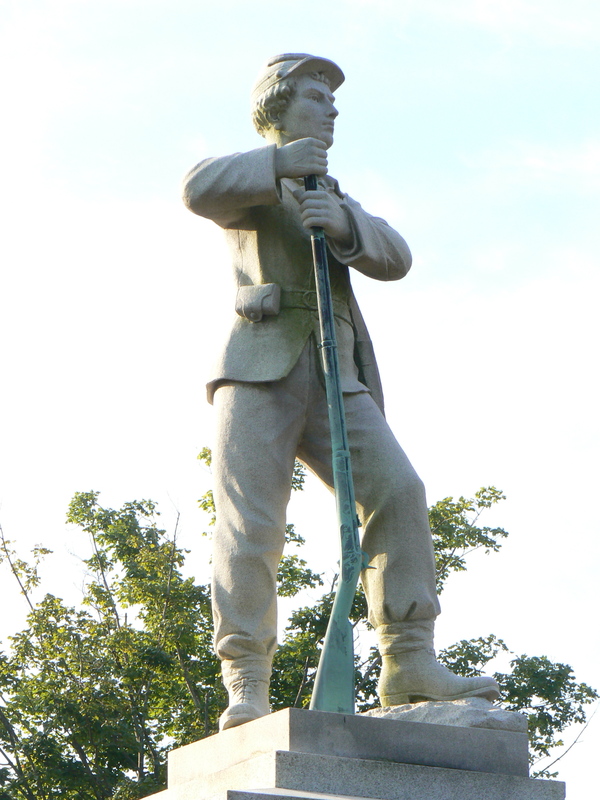 While the practice of tucking in pant legs to guard against ticks was not uncommon during the Civil War, this is the only time we’ve seen it depicted on a monument. 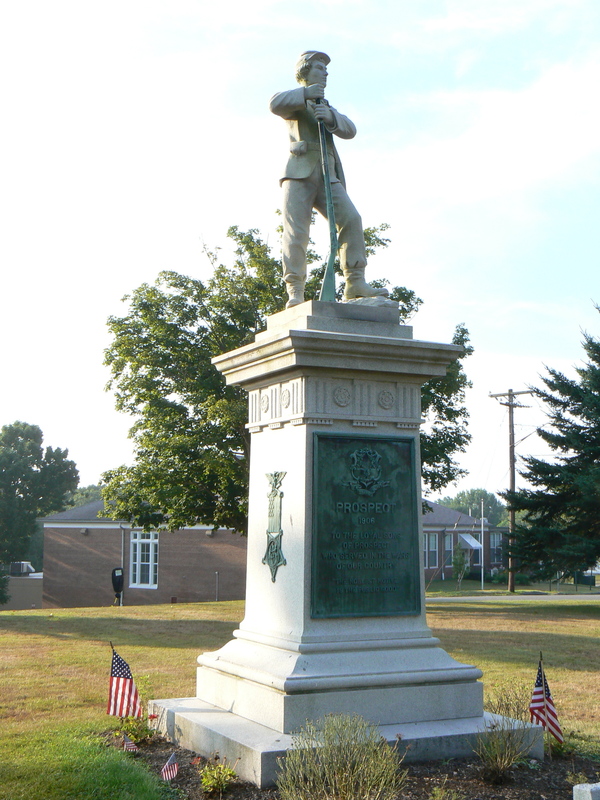 The monument was fabricated by the Thomas F. Jackson Co., which also supplied the Kenea Soldiers’ monument in Wolcott. 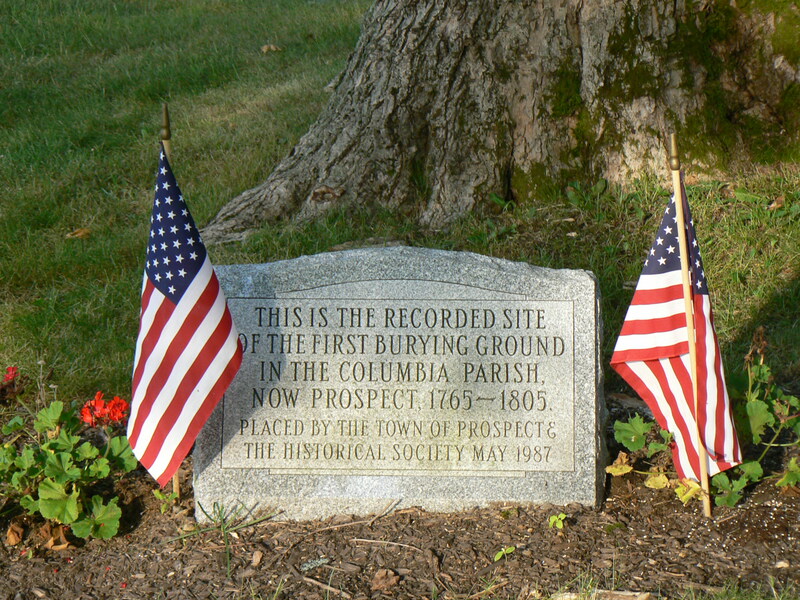 Not far from the Civil War monument, a small 1897 monument honors the location of the town’s original burying ground. Next PostNext State Birthplace Monument, White Plains, N.Y.